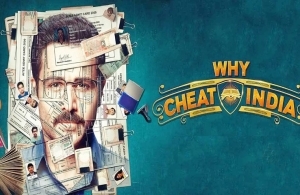 Rakesh Singh (Emraan Hashmi), a scamster, is a kingpin of a group executing the cheats happening in the top exams throughout the country. He hunts down a scholar student in Satyendra Dubey (Snighadeep Chatterjee) convinces him to write the exams for rich spoilt brats. This inaugurates the easy and grey way for Satyendra aka Sattu to earn money. He continues to work for Rakesh and finally, after a point of time, he breaks down and surrenders to the pressure. Rakesh, in a shock, moves ahead from that incident and that’s when he starts getting into multiple legal issues. The rest of the story revolves around Rakesh explaining to the world why he’s doing nothing wrong.